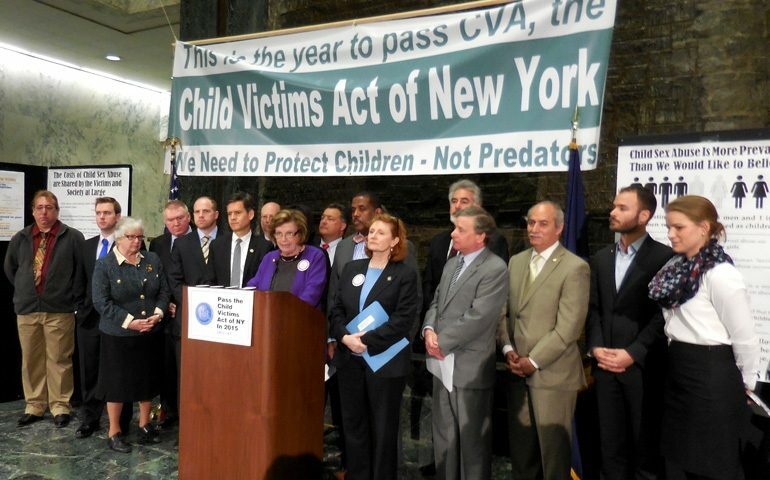 After years of relentless hard work and dedication by victim advocates, like nationally ranked speed skater Bridie Farrellat NY Loves Kids,the state of New York has finally passed the Child Victims Act. New York Governor Andrew Cuomo has promised to sign it into law. 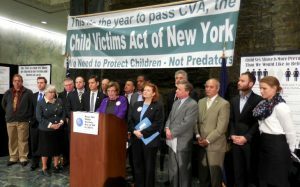 Just before the vote, he stated, “I’m proud to say the time is now to pass this critical legislation to end this heinous injustice once and for all and give these victims their day in court.” This Act provides victims of child sexual abuse additional time to seek justice through the legal system for the horrific atrocities they have been forced to endure. The Act also provides for a one-year “look-back window,”to victims whose claims had been previously time-barred, where their cases can possibly be revived now. Opponents of this Act included large institutions who have been plagued with sexual abuse scandals, such as the Catholic Church and the Boy Scouts of America. However, the Catholic Church officially withdrew its opposition after the bill was amended to apply equally to public and private institutions. Ultimately, the grassroots lobbying by the determined and hard-working victim advocates gained the necessary votes from the New York Legislature. Other states are bringing similar bills to the table. We hope that all states will soon follow suit and pass new laws expanding the time limitations to file lawsuits, allowing victims the time needed to recover, and to find the courage to seek justice for the abuse they suffered. We urge anyone who has been a victim of child sexual abuse to reach out to the authorities and report the crime, no matter how much time has passed. We further encourage victims to contact a qualified attorney who will help guide you through the legal process. Although nothing will erase the pain of being a victim of child sexual abuse, holding institutions such as a church, school, youth organization, or athletic association responsible for their roles in the abuse will help in the healing process, and hopefully contribute to the future safety of children under their charge.